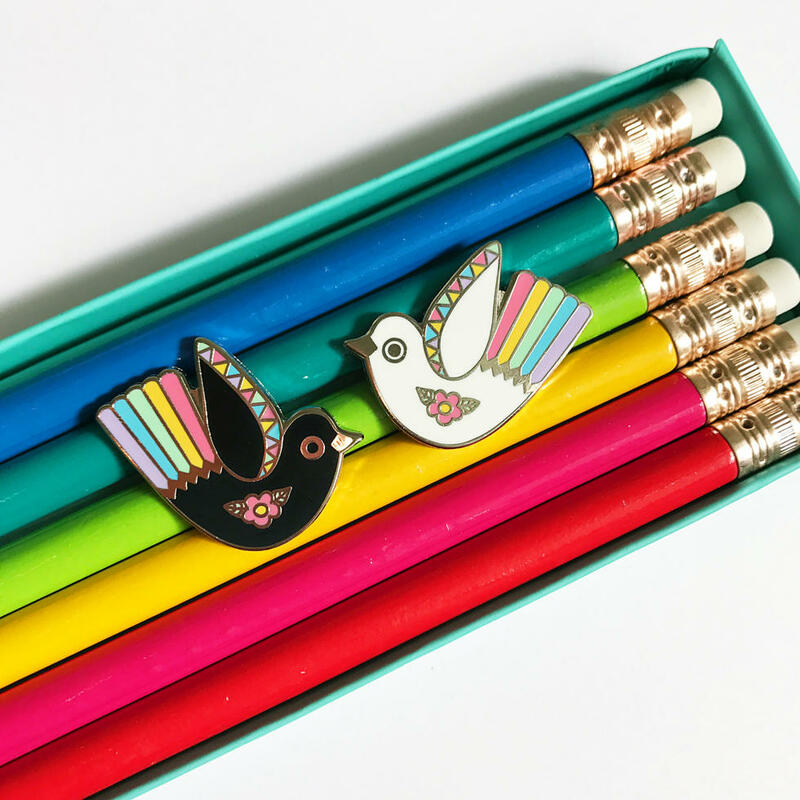 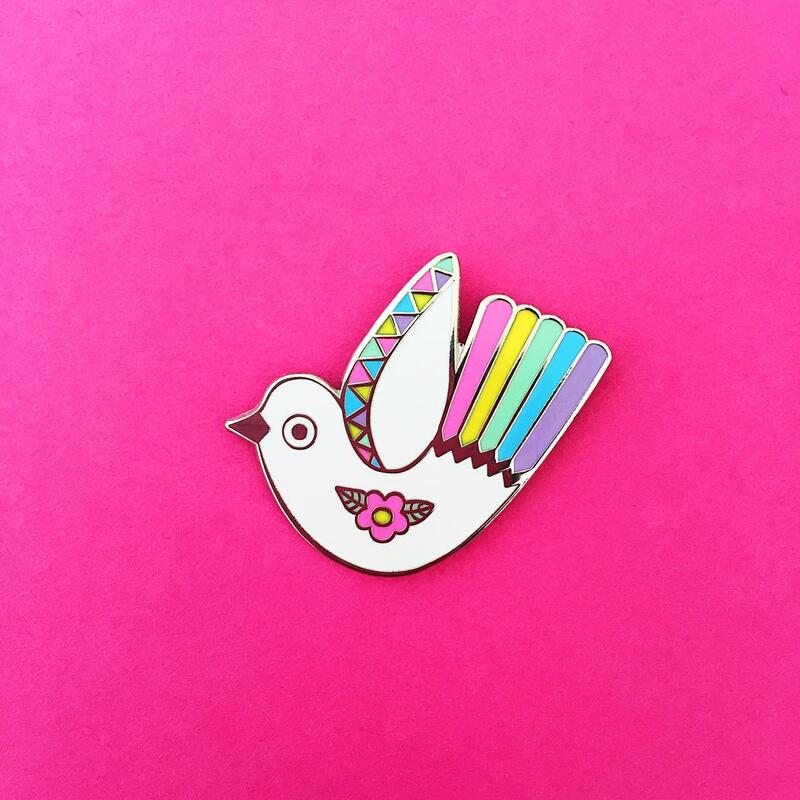 Pretty little bird in coloured hard enamel and rainbow detail. 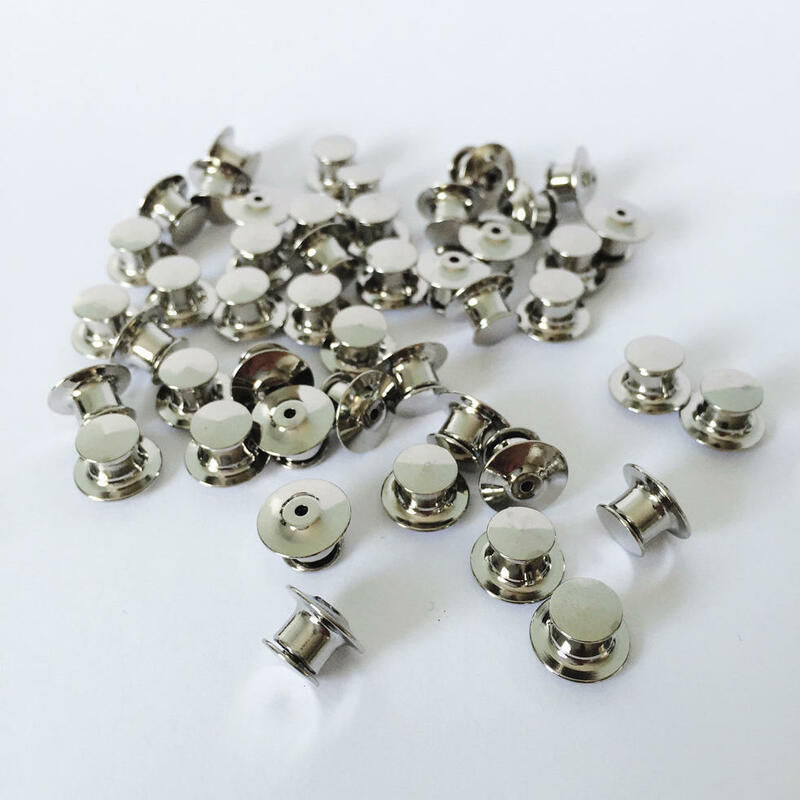 Black and White mirror versions. 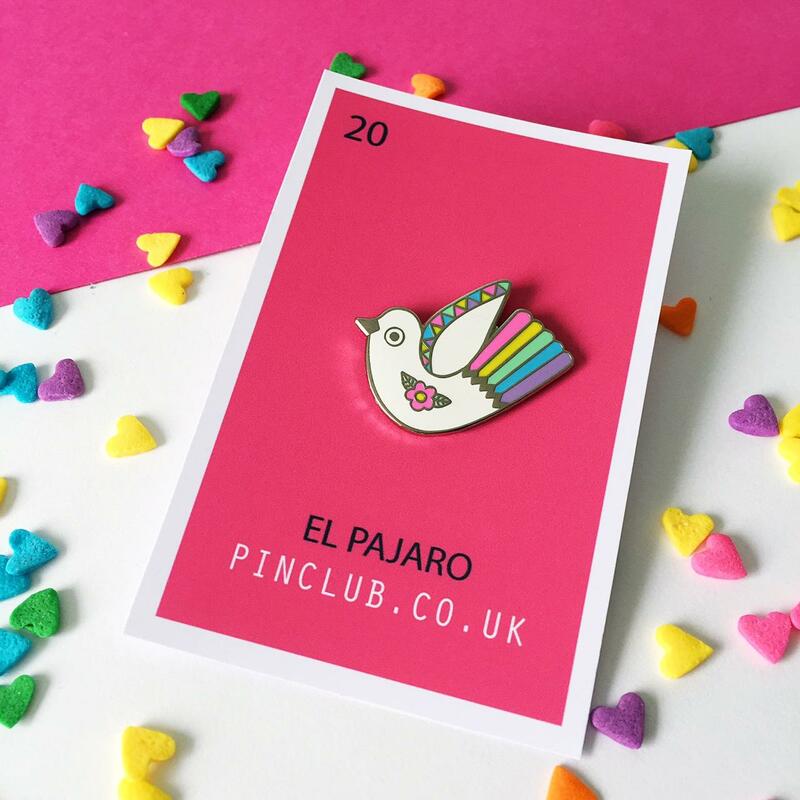 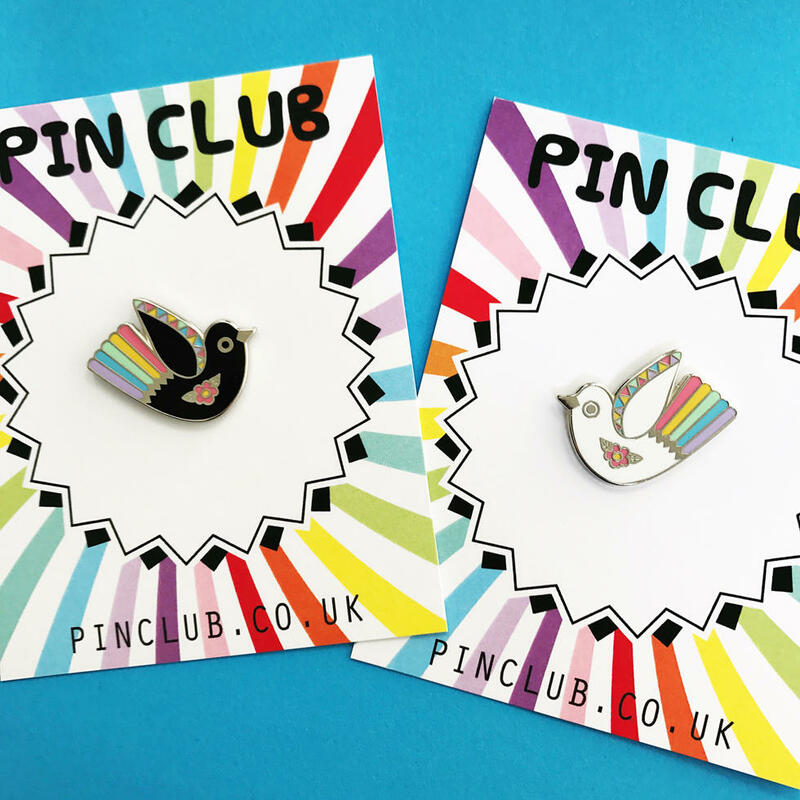 These make lovely collar pins or friendship pins for your bff!